Joyce Ella Ackerman O’Day passed away on Sunday, December 2, 2018 following a period of declining health. She was born August 7, 1942 to Robert and Patricia Ann (Crosley) Ackerman. She spent the majority of her childhood, following the death of her mother when she was 2 years old, in the care of her maternal grandparents, Ruth and Ralph Crosley. She married Bernard A. O’Day on November 24, 1962. Joyce was an avid gardener and homemaker. She enjoyed canning and baking - her Christmas cookie trays were beautiful and delicious. She was a skilled seamstress and knitter. She made most of her children’s clothes. She was an ardent journalist documenting her life and that of her children. 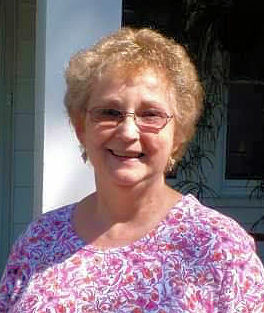 Joyce cared for her own five children, grandchildren, numerous foster children and many who she babysat. The children all loved her special peanut butter and jelly sandwiches. She instilled her love of reading in many of those children by reading to them every day. Joyce was a strong, determined individual who never complained or felt bad about her situation despite having progressively debilitating rheumatoid arthritis for more than 30 years. She adapted and made due. She is survived by her husband, Bernie, her brothers - and sisters-in-law, John (Marlene) O’Day, Don (Sherry) O’Day and Pat O’Day; her five children, Kelly (Bill) Trevillian, Robert (Annette) O’Day, Sean (Linda) O’Day, Erin (Jon Frye) O’Day-Frye, Cindy (Bobby) Stone; her eleven grandchildren, Lacey Phillips, Breanna Phillips, Olivia O’Day, Ellis O’Day, Logan (Mary Beth) O’Day, Shanley O’Day, Delanie O’Day, Tanner Frye, Elizabeth Frye, Dakota Stone, Landon Smith; her only great grandchild, Henry Lee O’Day; her close friends, Julie Whitman and Sue Krah and her caregiver, Tami Mullen. There will be no viewing hours. A memorial service will be held at a later date. Joyce’s family would like to thank Hospice of Crawford County, Inc. for their care and guidance over the last month. In lieu of flowers, donations can be made to the Crawford County Humane Society, 11012 Kennedy Hill Road, Meadville, PA 16335.